CLOSEOUTS. 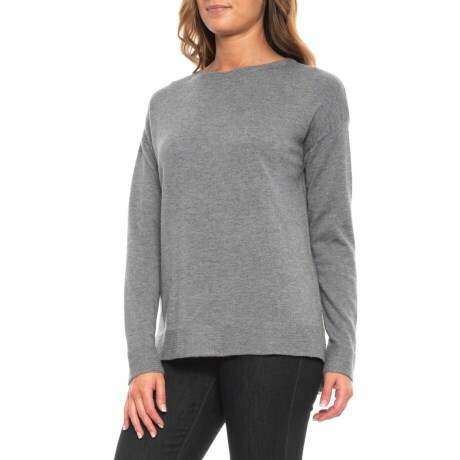 Made from 30% merino wool, the Rachel Zoe boat neck solid pullover shirt is an itch-free, wicking all-season favorite. Available Colors: GUNMETAL HEATHER, PENNY, BLACKBERRY. Sizes: XS, S, M, L, XL.